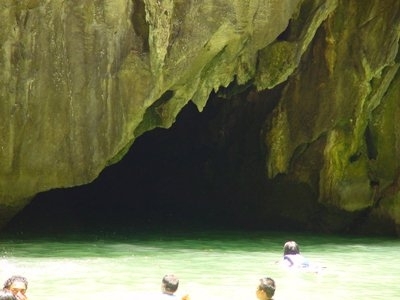 The Emerald Cave (Morakot Cave) was formed when the roof of a partly underwater cave collapsed, allowing light to flood in and jungle to develop. 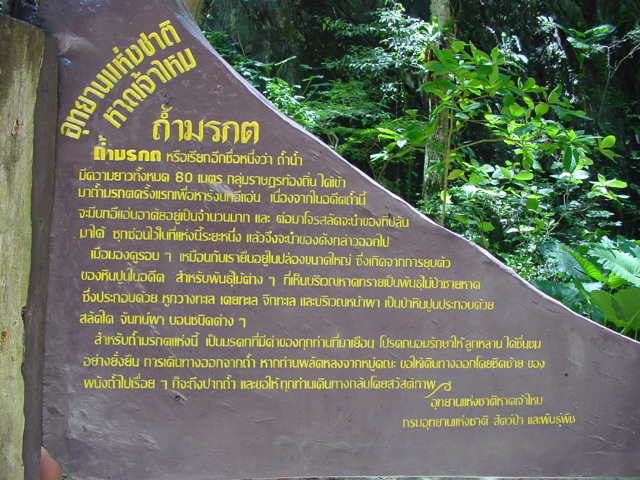 The cliff ranging at the west of Koh Mook is the site of Morakot Cave. 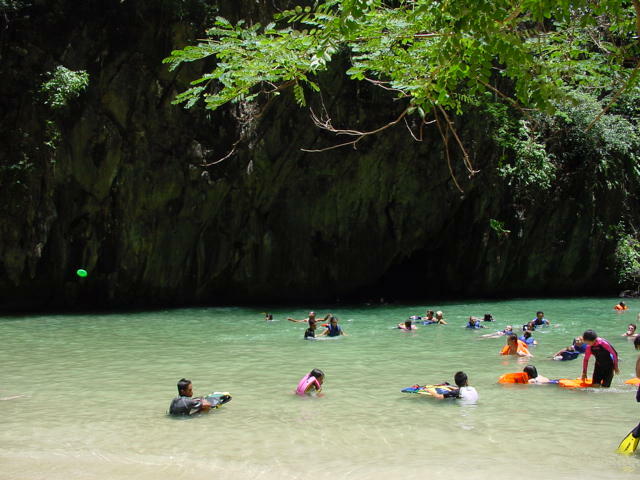 To admire its beauty is to swim about 70 m through the cave. 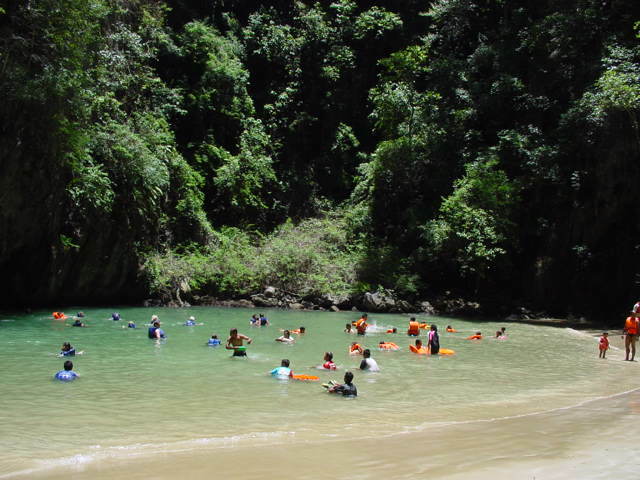 The destination is a large hall without roof, emerald sea and white sand which achieve the world fame. 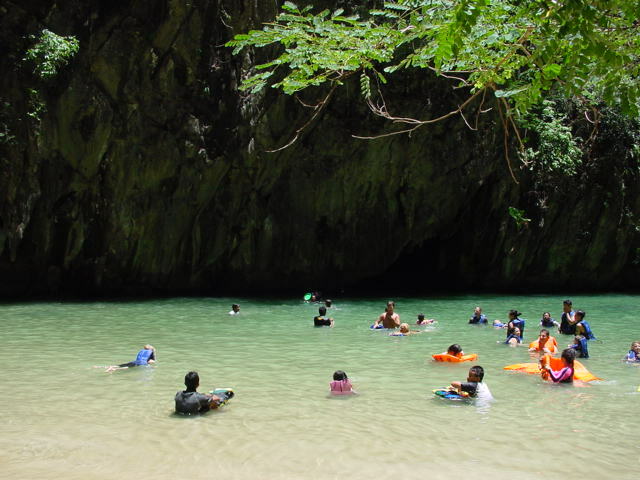 e of marvelous natural surroundings, white clean sandy beach, emerald colored sea where every group of tourists will spend some time admiring after swimming through the cave's entrance. Location: Morakot Cave is located at Koh Mook, Toward the northwest of Haad Chao Mai National Park, in Koh Li Bong sub-district, Kantang district, Trang province.